Mexico will give oil companies a bigger share of profits and more flexibility in contracts as it opens up its energy sector, the country's top oil regulator said in an interview, after a host of companies said the initial terms would deter them. Changes to draft production-sharing contracts for shallow water extraction projects will relax rigid investment requirements and clarify how contracts could be revoked, said Juan Carlos Zepeda, head of Mexico's national hydrocarbons commission. Last week, Mexico's top energy officials unveiled new terms for five shallow-water production contracts along the southern rim of the Gulf of Mexico. The new contracts, along with 14 draft shallow water exploration contracts announced in December, are among the first steps of the country's landmark energy overhaul finalized last year. The reform ended the decades-long monopoly enjoyed by state-run oil company Pemex [PEMX.UL] and aims to reverse a slide in crude output, which has plummeted by nearly one-third since 2004. "This new contract has various adjustments," Zepeda said. "There are changes to the fiscal terms and the adjustment mechanism." He emphasized that investors should expect the shallow-water exploration contracts to be revised soon as well. Oil company executives like Britain's BP and U.S.-based Occidental Petroleum Corp have criticized the initial terms as too stingy and uncompetitive compared to investment opportunities elsewhere. Key contract tweaks include a revised adjustment mechanism to allow companies a bigger share of profits as well as more flexible work requirements that are no longer directly linked to fixed upfront investment commitments, but which instead emphasize the number of wells drilled. 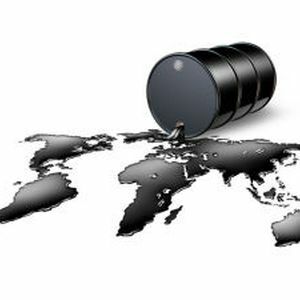 Zepeda said that the changes also included reducing the number of causes for which contracts can be rescinded, which was a main worry for oil companies. The staff of the hydrocarbons commission, which will be in charge of the tenders and also of administering awarded contracts, will double to about 300 specialists in the next few months, he said. The government is pinning its hopes for an oil comeback on successful contract tenders set to begin in July.